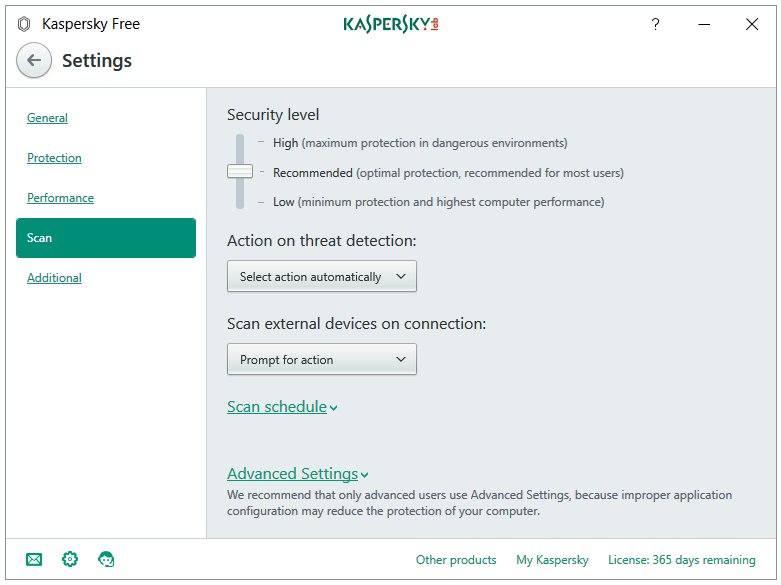 Home » PC » Antivirus & Security » Kaspersky Security Cloud Free Antivirus 2019 Review – Best Full-Featured Protection for Windows 10. 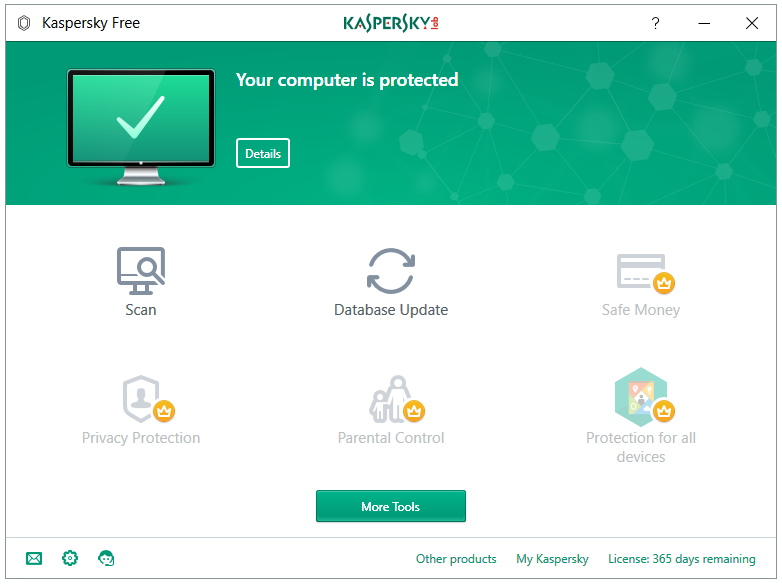 Kaspersky Security Cloud Free Antivirus 2019 Review – Best Full-Featured Protection for Windows 10. 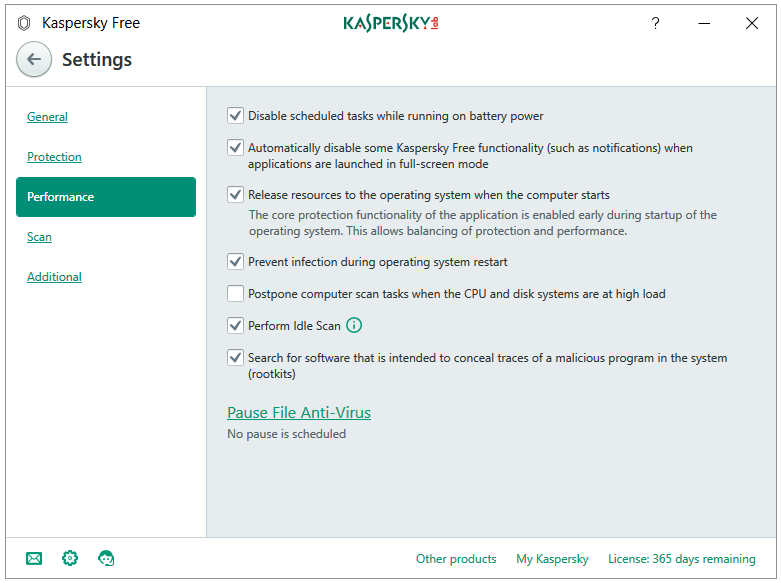 Best Free Antivirus Products for Windows PC in 2019 – Kaspersky Security Cloud Free. 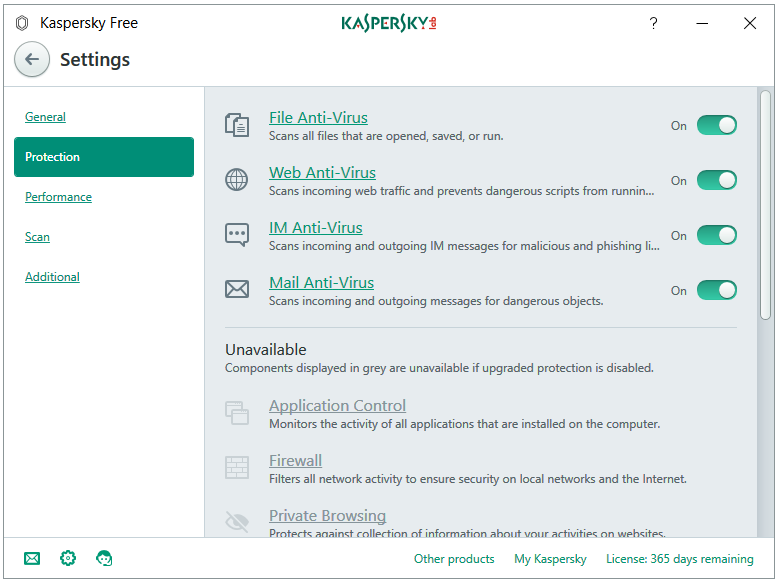 Kaspersky Free includes the core security features that protect your computer against viruses, spyware, ransomware, phishing & dangerous websites, and more nasty stuff. The password-protection feature is also included in the free version, which makes sure that no malware can stop or terminate Kaspersky. No need to worry about updates as it supports automatic updates as well. 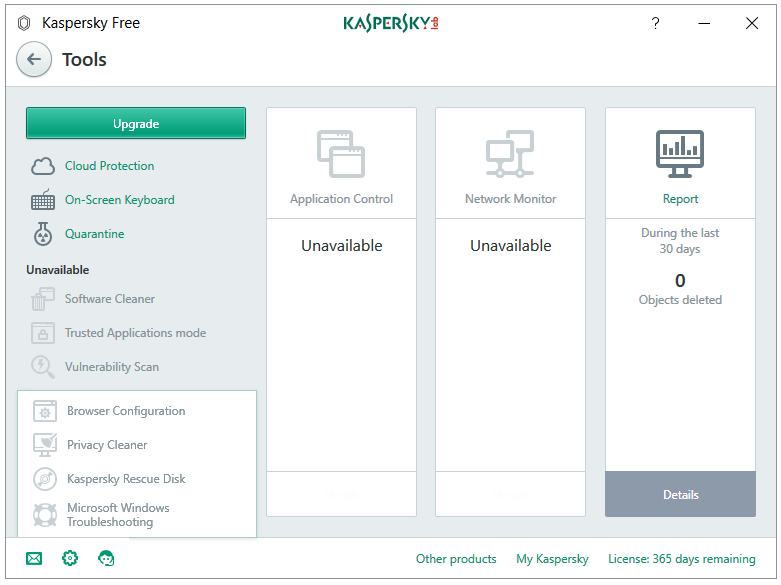 The Cloud scanning is also available in Kaspersky Free, which lets the user use the KSN Network. 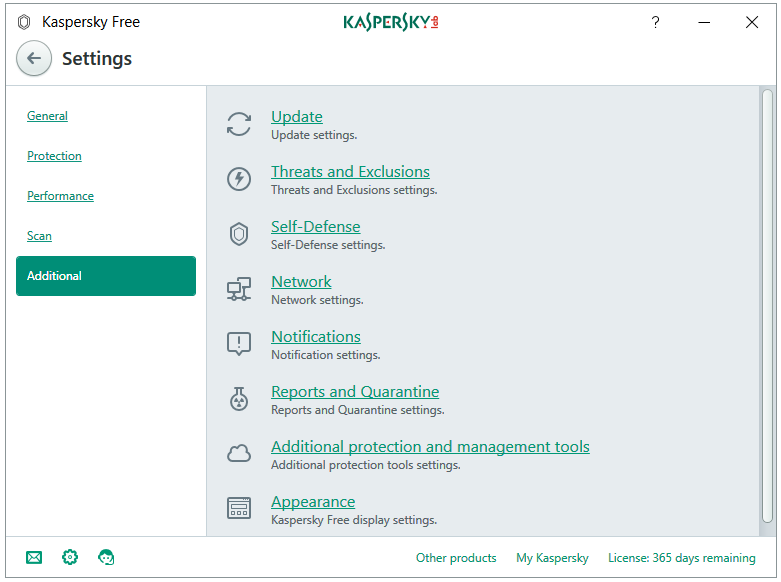 Along with the antivirus product, you also get Kaspersky’s web browser extension called Kaspersky Protection extension, and other technologies such as URL Advisor and Trusted URLs. In the December 2018 report of VB100, Kaspersky Passed the VB100 test. Kaspersky is a winner of the AV-Test Top Product award. Kaspersky is a winner of the AV-Comparatives Advanced+ award. Out of the three buttons present at the bottom left of the program, click the gear-shaped button to open Kaspersky Settings wizard. The Settings are divided into Five categories. The General tab opens the General Settings. You’ll find two important protection related here. The Protection button enables or disables the program, or the computer protection. The Set up password protection options lets you set a password for the Kaspersky Settings. 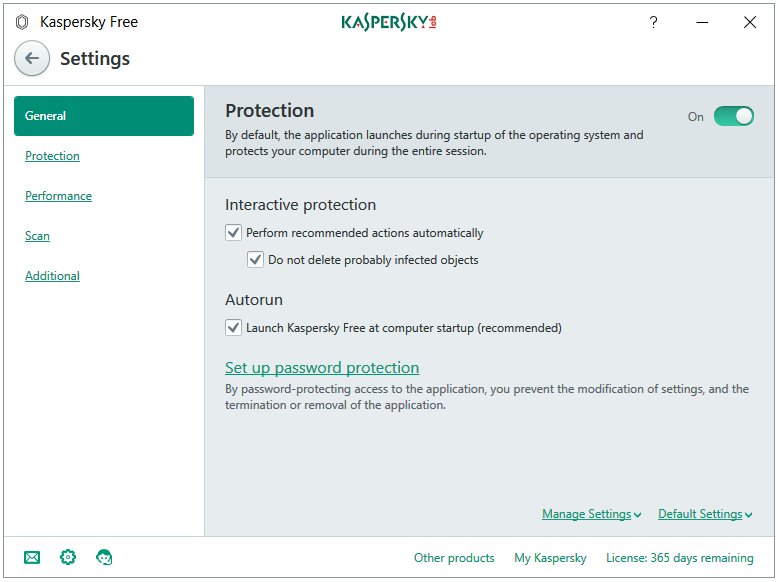 Enabling Password means that no malware or computer user can turn off the Kaspersky Protection automatically. You need to enter the password to edit the Settings. Here, you can also configure the Autorun and Interactive protection settings. The most important tab in the program is Protection. Kaspersky Free has all of the four antivirus shields – File Anti-Virus, Web Anti-Virus, IM Anti-Virus, and Mail Anti-Virus. Kaspersky’s behaviour blocker called System Watcher is not available in the free version of their antivirus. You can turn On or Off any of these shields. Clicking on the name of each shield opens more details. 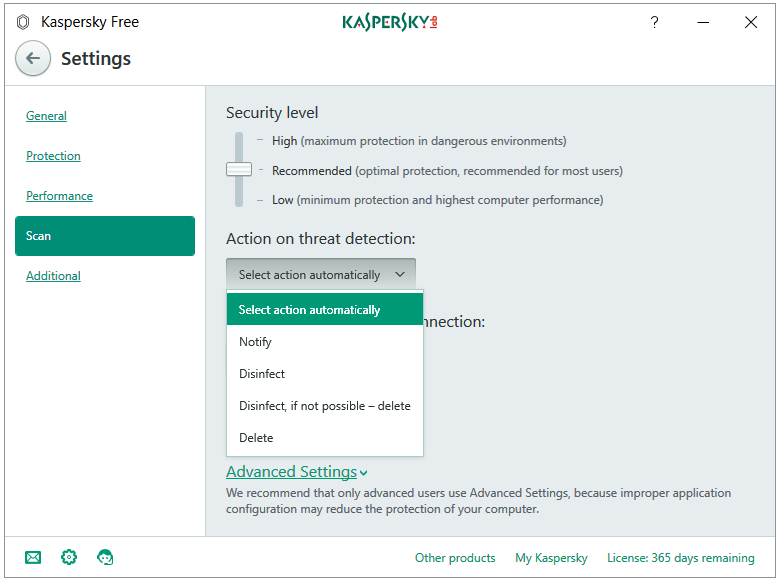 The Performance tab has a list of options that you can configure to optimize Kaspersky Free for Performance. Just don’t click the last option called Pause File Ant-Virus. The default settings are already very good. Clicking on the Scan side tab opens the dedicated Scan settings window. You can configure settings for Security level, Action on threat detection, Scan external devices on connection, Scan schedule, and some Advanced Settings. 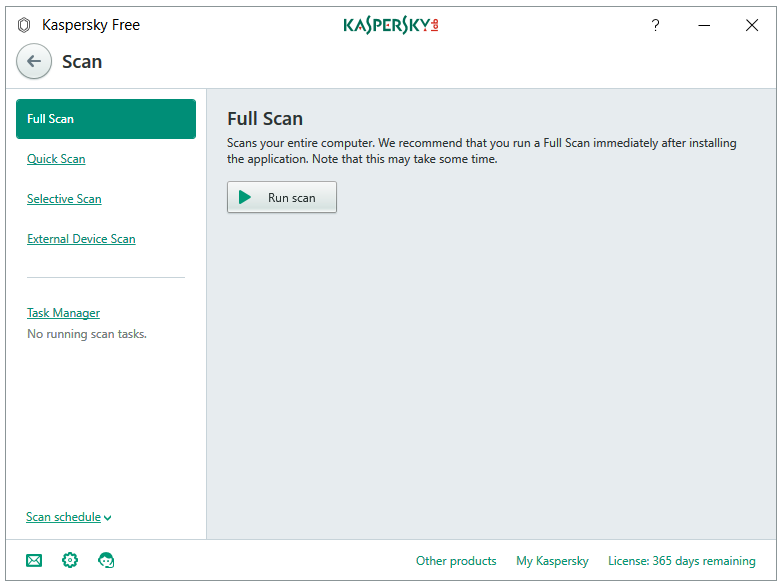 Clicking on the Scan section in the Home screen of Kaspersky Free opens the following window. You get four scan options – Full Scan, Quick Scan, Selective Scan, and External Device Scan. The Task Manager link displays all of the scanning related events in a timeline. You can schedule Full or Quick scans by clicking on the Scan schedule link placed at the bottom of the left sidebar. You can configure Kaspersky to perform one of the following actions upon threat detection. 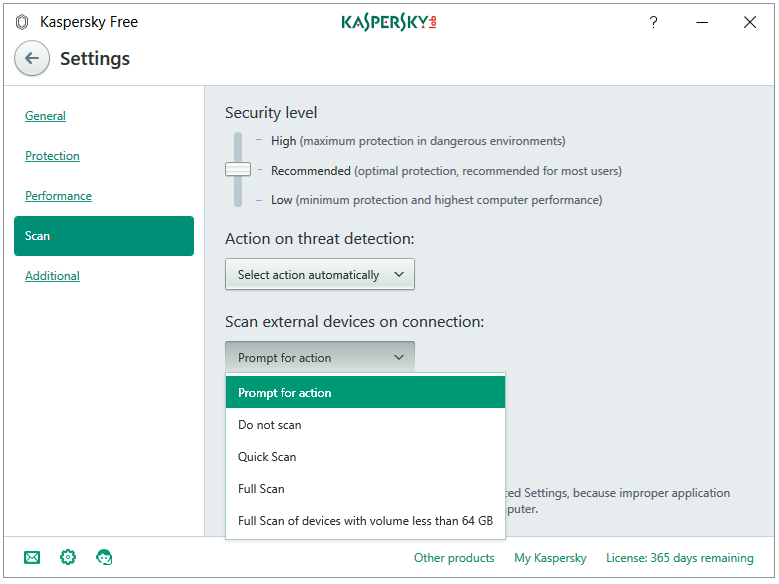 Kaspersky Free has an extensive amount of actions in the external device scanning component; the most in any free antivirus product. 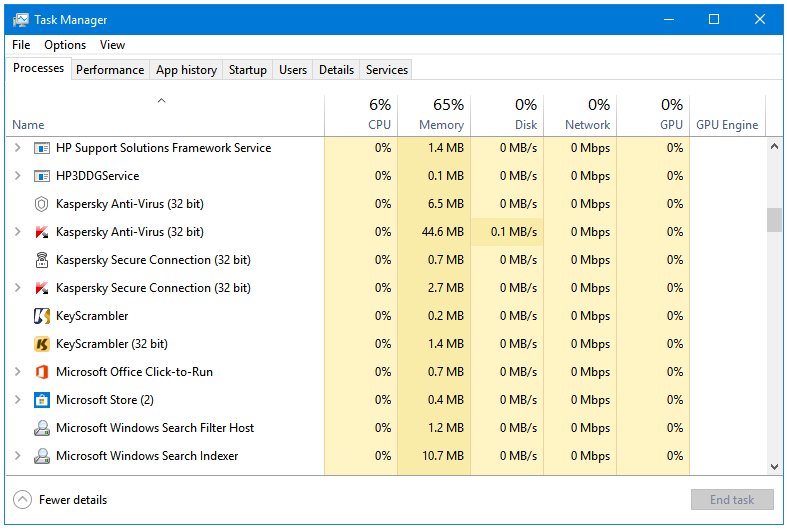 The Additional settings window contains all of the additional programs settings in one place. The Full and Quick scans can be scheduled to run automatically. External devices can be scanned automatically when connected. The Kaspersky Protection web browser plugin/add-on/extension adds another layer of protection against web-based threats. 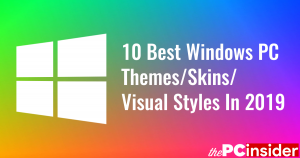 It contains the following modules – Safe Money, Virtual Keyboard, and Block Dangerous Websites. The More Tools button on the home screen acts like a promo for their pro version, clicking on it leads the user to the Tools window where you’ll find that most of the components that are greyed out i.e., are unavailable. Kaspersky provides Cloud Protection to its users through their Kaspersky Security Network technology. Click the Cloud Protection link in the Tools windows to access the details. Kaspersky include their own On-Screen Keyboard. You can activate it by clicking on the On-Screen Keyboard link. The Quarantine link takes you to the Quarantine window where you can see all of the detected and quarantined objects. Here, you can either Restore or Delete the quarantined files. 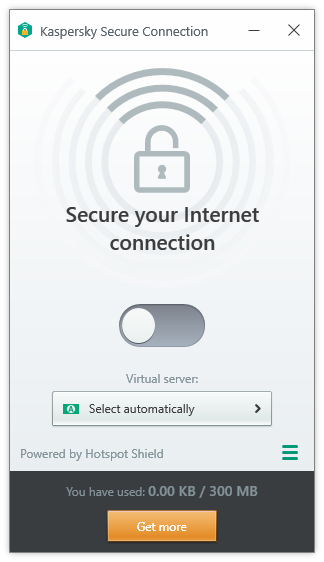 Kaspersky Free installs a free VPN program called Kaspersky Secure Connection, which is powered by Hotspot Shield. The free data limit is 300 MB per day. Hard Disk Used: The installer is around 120 MB in size. After installation and an update, the Kaspersky Free Antivirus uses around 1.50 GB of the disk space. 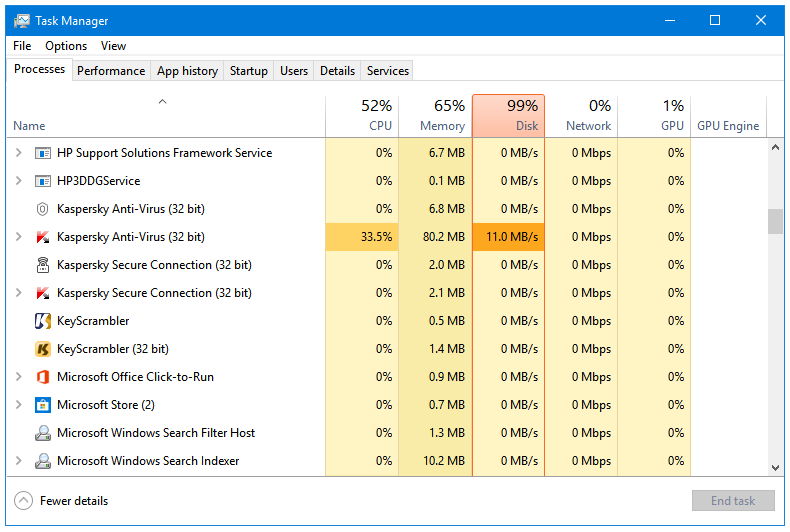 CPU and RAM Usage When Idle: All of the Kaspersky processes combined use around 50 MB of RAM when the program is working in the background. The CPU usage is stable at 0%. CPU and RAM Usage When Scanning: Kaspersky is high on CPU usage when you start a manual scan with it, which fluctuates from 20 to 60%. Mostly, it is around 35%. Kaspersky uses less than 100 MB of RAM when it is scanning the computer for malware. Kaspersky use a very easy on the eyes theme. Everything is very well organized. Even their Icon in the Taskbar notification area is very low profile. There are extensive settings for almost everything, and reaching them is not hard at all. None. No Ads – Neither during install nor after. Once every few months, you get a very clean promo to upgrade to their Internet Security, nothing else. Bitdefender Antivirus Free Edition 2019 Review – Fierce & Lightweight Protection for Windows 10. Comodo Free Antivirus 2019 Review – Best Multi-Layer Protection for Windows 10.